When the founders of the Nasionale Pers, today Naspers, started the company in 1915 , it consisted of a single newspaper title, De Burger. Today it is regarded as one of the largest media and technology companies in the world which has services in more than 130 countries. It has diversified to include pay TV, telecommunications and e-commerce industries, among others. 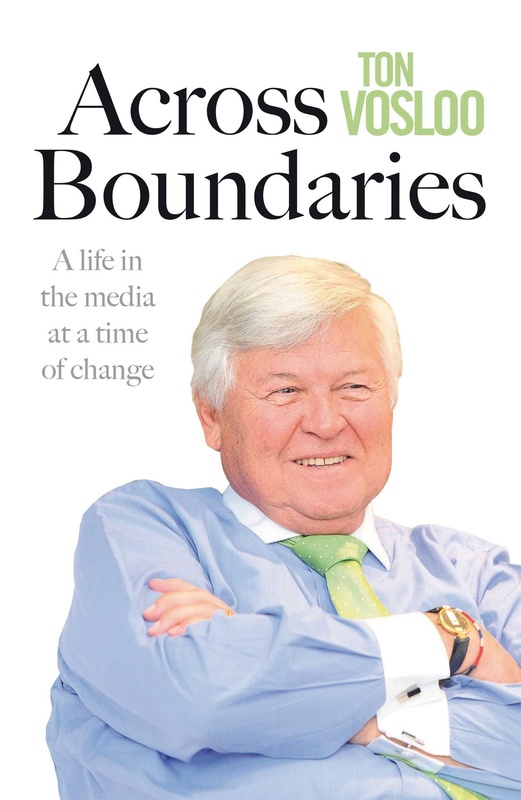 It therefore seems fitting that the memoir of the man who largely helped to shape the company into what it is today is titled Across Boundaries. Ton Vosloo, 81, chuckled when he was asked if he felt pressured to write a memoir about his life and time at Naspers, seeing that no other company leader before him had done so. "It was probably my vanity that led me to do it," he says with a laugh. "But in all seriousness, I felt it was important to write the book as my time at Naspers was an important time in the country's history – a time of change in the media and in the country." The book touches on many of the inevitable controversies Naspers went through over the years having been born as the mouthpiece of the erstwhile National Party: the firing of Dene Smuts as editor of FAIRLADY for wanting to publish a politically left article, to Naspers' refusal to testify before the Truth and Reconciliation Commission and the rebellion of a group of employees who chose to confess to the commission their participation in the perpetuation of the apartheid system. The book has drawn criticism from the likes of Wits journalism professor Anton Harber, who writes in a review that it fails to give an accurate version of Naspers' role in apartheid in what it does not include – "the forced removals, the prison torture, the slave working conditions, the censorship, the petty segregation, the daily humiliations". Vosloo refuses to be drawn into the criticism. He wrote a book and therefore invited criticism, he said. "I write about the role of our Afrikaans newspapers. I don't think it was without honour… with the encouragement of a transition from a system that was completely wrong and untenable. In that way, the Afrikaans verligte (progressive) newspapers played a major role in bringing about change." "The biggest lesson for journalists today is that you have to be diligent about your independence – also the media bosses, must have the conviction to stand up against injustice. It's something we can't always be proud about from the past, but it's a new era and freedom of speech is protected in the Constitution." Today, Media24 makes up only 6% of Naspers' value, which has as its main asset is the Chinese tech giant Tencent. But Vosloo believes the local arm's importance in South Africa makes it a key part of the larger Naspers family. "Democracy is a messy business, which makes the role of the media as watchdog crucially important," he says. "South Africa is today one of the most unequal societies in the world and it is very important that our media stands up for those who are being done in." That's also why Vosloo believes in the importance of investing in journalism and training young journalists for the future. "We live in a digital era and it's here to stay. Media organisations must be able to adapt as things like social media come with a whole lot of new challenges and responsibilities to practice good journalism. Your best people must be the people who catch out the bugs. In other words, well-trained journalists."